Knight Frank recently published the “Retail Market Report Moscow H1 2018”. The most important event was the commissioning of “Kashirskaya Plaza”, which opened with a high occupancy rate – not only by area but also by number of stores. Based on results of the first half of 2018 in the Russian Capital three shopping centers were commissioned with total leasable area of 97,500 sq m: “Kashirskaya Plaza” with 70,200 sq m, “Milya” with 18,800 sq m and “Petrovsky” with 8,500 sq m. Taking the new commissioned malls into consideration, the overall area of quality spaces in the capital currently amounts to 12.3 million sq m. As compared to the same period for the previous year the volume of retail properties coming onto the market in the capital increased by 4.5 times. For instance, during the first half of 2017 two shopping centers were commissioned (“Zeleny” and “Proletarsky”) with a total leasable area of 22,000 sq m. By the end of 2018 the opening of six more projects is scheduled, with the total leasable area of 87,100 sq m. The largest are the malls “Yuzhny” (phase II, 20,000 sq m), “Skazka” (18,600 sq m) and “Arena Plaza” (17,200 sq m). All facilities scheduled for opening are located outside the third ring road. 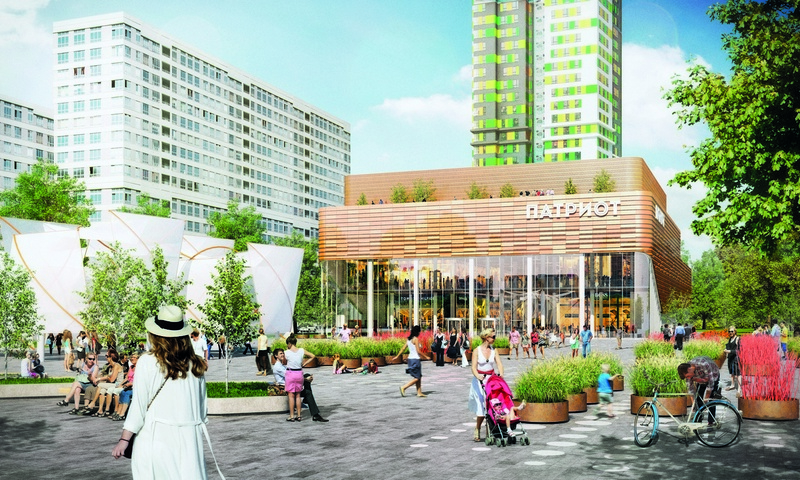 All new shopping centers that entered the market during the first half of 2018 and were scheduled to open before the end of 2018 have a leasable area of up to 20,000 sq m, the only exception is “Kashirskaya Plaza”. The average sizes of leasable areas have decreased since the beginning of 2017. 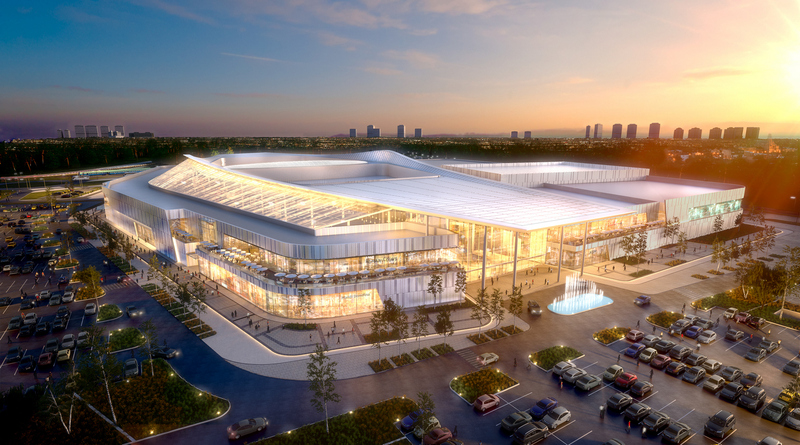 Meanwhile earlier in 2014 to 2016 the average size of shopping centers entering the market has doubled to approximately 40,000 sq m.
Continuing the given trend of developing community-centers in the mid-term as part of the project of ADG Group for reconstruction of Moscowcinemas, 39 facilities of that format with an average leasable area of 8,500 sq m will enter the market. Taking into consideration the new volume, the indicator of availability of quality shopping areas for Moscow residents amounts to 502.4 sq m per 1,000 persons. Based on this indicator the city holds 5th place among Russian cities with more than 1 million residents behind Ekaterinburg, Samara, Nizhny-Novgorod, and Saint Petersburg. Broken down by administrative districts of “old Moscow”, the districts with the most centers are in the city center as well as the southern and northern part of the city. During the first half of 2018 a decrease of vacant areas was observed across the capital. Based on the results of the first half of 2018, the vacancy rates in Moscow’s shopping centers decreased by 0.8% compared to the same period in the previous year and amounted to 7.7%. The total vacant space across shopping centers in the capital amounts to approximately 420,000 sq m.
The biggest volume of vacant space was recorded in the southern administrative district: 1.1 million sq m shopping spaces are available here with over 104,000 sq m of vacant space, which corresponds to 25% of the total volume of vacant areas in the capital. Since the beginning of the year, 13 new international retailers have entered the Russian market, which is 1.5 times less than during the same period in 2017. Among them are retailers such as GEOX Kids, Coach, as well as premium Italian brand “Liu Jo”. As before, retailers prefer to open their flagship stores in malls such as “Megapolis”, “Atrium”, “Evropeysky”, and ”Afimall City”. Since 2014 the profile structure of new brands has remained unchanged: about 54% of brands are positioned in the segment “clothes/footwear/underwear”. However, the price bracket of new retail has changed: the share of retailers operating in the mid-range segment, based on results of the first half of 2018, amounted to over 50%. In 2017, retail brands with an “above average” price bracket dominated with 63%. With the decrease of international brands entering the Russian market, the brands that are already present continue to expand rapidly. During the first half of 2018 only two brands announced their plans to leave the Russian market– MediaMarkt, the German chain of electronics and home appliances stores, the spaces of which will presumably be occupied by the stores developed by the Safmar group–M.Video or Eldorado chain of stores, as well as the American brand Claire’s. Taking into consideration the volume of new shopping spaces introduced to the market during the first half of 2018 and developers’ plans to open several facilities, Knight Frank forecasts that the volume of new offers in 2018 will not exceed 150,000 sq m GLA. This meant that it will be 25% less than in 2017. The decrease in volume of new offers is the result of the crisis of 2014 to 2015, the current state of the consumer market, and the change in the country’s investment climate. The lower offer this year is also related to the postponed opening dates of “Ostrov Mechty” with 70,000 sq m GLA and phase II of “Smolensky Passage” with 13,000 sq m GLA, which are now scheduled for next year. Due to the limited volume of new quality offers, the vacancy rate in the Russian capital is expected to decrease further by the end of the year. According to Knight Frank’s forecast, the amount of vacant areas by the end of 2018 may amount to 7.0% to 7.5%. It is expected that by the end of the year the activities of international retailers will remain limited and the number of new retail brands entering the market will not exceed the previous year’s numbers, which amounted to approximately 37 brands. In this regard, the entry of the Swedish retailer COS may be the most noteworthy retail opening of the year. The upcoming offers in the capital will predominantly comprise to community-centers, which are integrated into residential complexes and reconstruction concepts for obsolete facilities, and transport hubs. According to Knight Frank, the largest mall projects scheduled for opening in or at transport hubs during 2019 the 2022 are “Seligerskaya” with 145,000 sq m, “Salaris” with 105,000 sq m, “Nikolaevskaya” with 94,500 sq m, “Lukhmanovskaya” with 74,800 sq m, “Nekrasovka” with 35,000 sq m, and “Park Pobedy” with 29,300 sq m.